Like all hydraulic cylinders, these devices convert the hydraulic energy of fluids under pressure into mechanical energy. This generates the linear force and motion needed to move machine linkages and any attached loads. 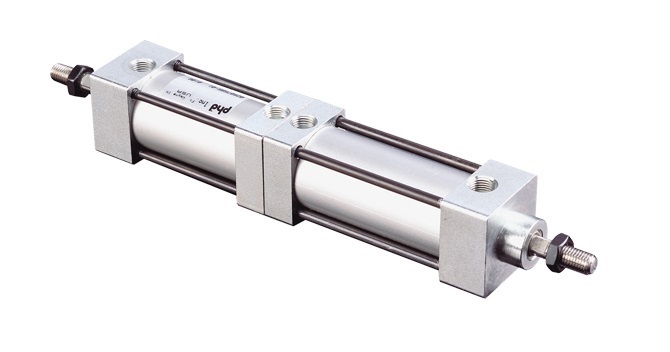 Stainless Steel Hydraulic Cylinders – PHD, Inc. While a number of durable materials can be used in the construction of hydraulic cylinders, stainless steel is particularly well suited to the wear, friction and corrosion common to industrial hydraulics applications. Composed of at least 10% chromium, this group of steel alloys develops a thin layer of chromium oxide. This film-like layer is what makes the steel stainless. It also contributes to its heightened resistance to corrosion and, in some instances, self-repairing abilities. These attributes are vital to food, medical, water treatment, fishing, environmental technology, petrochemical and many more industries where cylinder components may encounter volatile fluids or be cleaned hygienically. While the choice of material is important, there are several other considerations to take into account when selecting the proper cylinder for a given application. Additional concerns include body type, stroke, operating pressure, maximum working pressure, rod diameter and bore diameter. Despite the many variables in hydraulic cylinder construction, the basic design is relatively simple and uniform. A round, rectangular tube shaped barrel, most often extruded stainless steel tubing, makes up the main body of the cylinder. This barrel houses and connects all of the components. At either end is a cap which closes off the tube, making the body into an enclosed chamber. In one or both caps, however, is a seal through which the piston rod may move in and out. This cold-rolled piece of steel is only partially exposed, while the rest of it is hidden within the cylinder where it is attached to a piston. The hydraulic piston is a disc shaped piece of stainless steel that fits exactly in the cross section of the barrel, thus dividing the chamber into two smaller compartments. Precision machined like the endcaps, the piston face is surrounded by seals which prevent fluid from leaking between the compartments or out of the cylinder altogether. Each section within the barrel also has a port through which high pressure hydraulic fluid is introduced and released. When the fluid is forced into the section of the cylinder below the piston, the rod is extended while the inverse retracts it. The protruding end of the rod is attached to the load or machine linkages to be moved. Although the cylinder itself can offer only linear motion, clevis fittings can provide angular movement when needed. 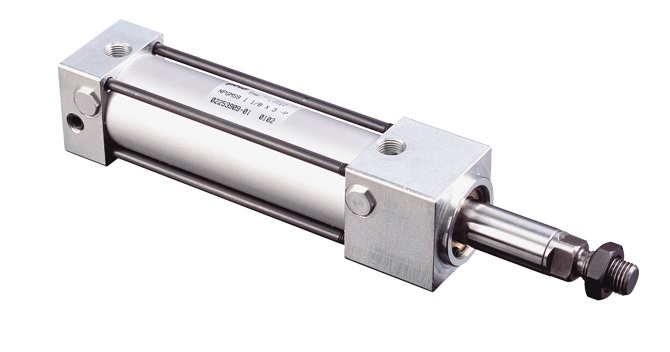 Stainless Steel Hydraulic Cylinders Stainless steel hydraulic cylinders are designed specifically for highly corrosive environments as well as those where hygienic cleaning is essential to industrial processes.